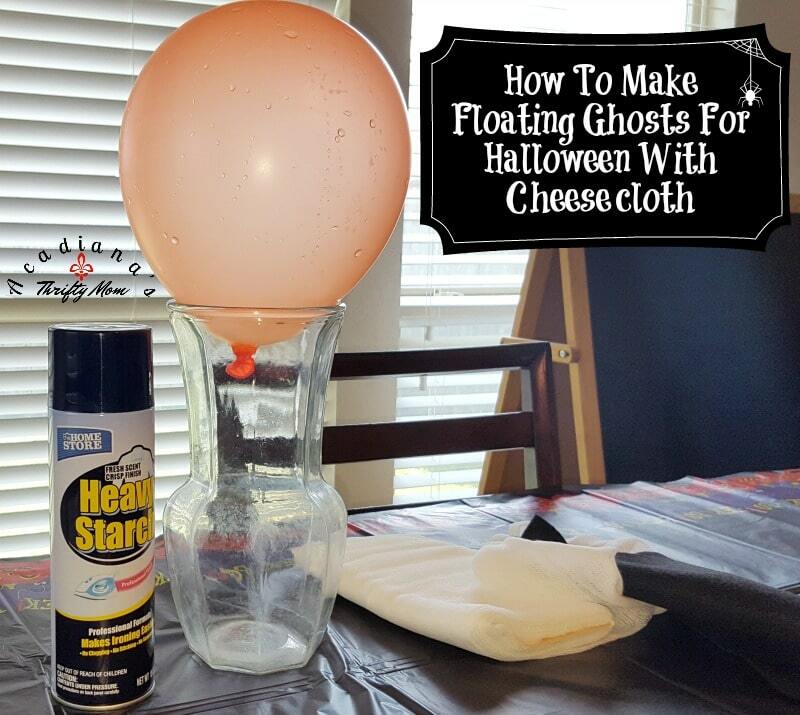 How To Make Floating Ghosts For Halloween With Cheesecloth. I love making my own decorations for every holiday. There’s something special about being able to do it yourself, plus the kiddos love lending a hand. These cheesecloth ghosts are something we have made a few times and I decided it was time I shared it with all of you! 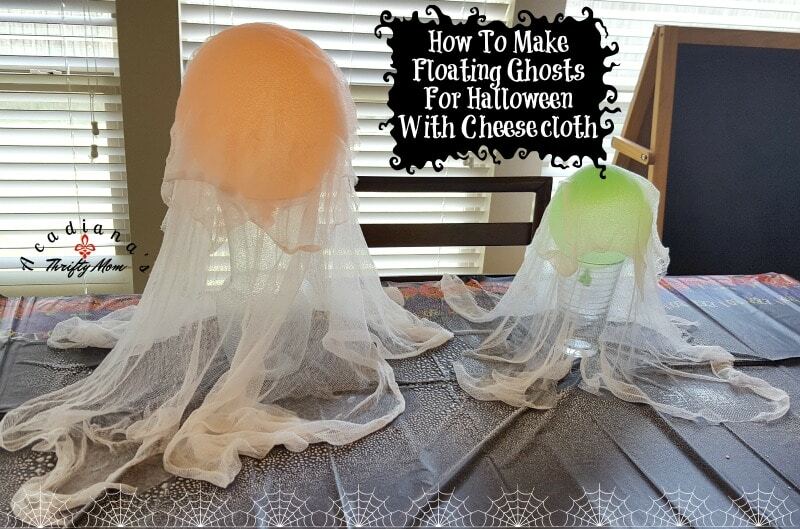 Making floating ghosts with cheesecloth is not only super easy and fun, but it also teaches a mini science lesson about how starch works! You don’t have to use starch, though. I have used a mixture of 2 parts school glue to 1 part water in the past and it worked just as well. We always have glue and starch on-hand as our youngest daughter is a slime fanatic! You might be able to relate to that too. You can make about 4 ghosts with one package of cheesecloth. All in all after all of the supplies is bought, it costs about $6 to make 4 floating ghosts for Halloween using cheesecloth. Cover your work surface with paper or plastic. I use plastic table covers from the Dollar Tree. Mix your stiffener of choice in a medium size mixing bowl or if you’re using starch, I use a spray bottle. I also use the liquid starch full strength. 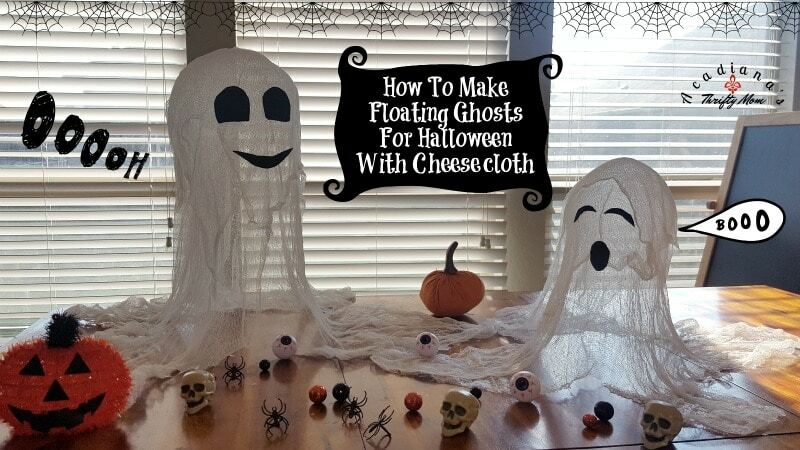 Set up your molds the way you want your floating cheesecloth ghosts to stand. If you’re using the glue mixture, you will dip the cheesecloth in in the glue mixture (2 parts glue to 1 part water) and squeeze out any excess and drape over the mold. If you are using spray starch or liquid starch in a spray bottle, you will drape the cheesecloth over your molds, then spray them generously with starch. Allow them to dry for about 4 hours. You can speed up the process with a fan on low setting. Spray another coating of starch and allow to dry again. This should be stiff enough for the ghosts to stand alone. If you feel you need more starch, then keep repeating the process of spraying the ghosts and allowing them to dry until you achieve desired stiffness. Pop the balloon and remove from the mold. Cut out eyes and mouth from the black felt and glue onto ghosts with school glue or hot glue. Voila! 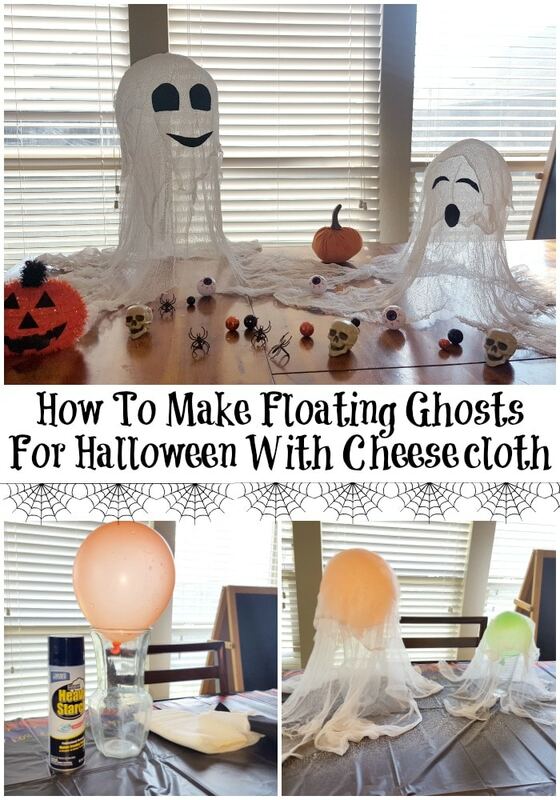 You have adorable floating cheesecloth ghosts for Halloween that you created yourself!